Abstract: This article talks about continuous learning and why software developers must take responsibility for their skills and career. The author also shares some valuable resources to get you started. In the past few articles, I’ve been setting the stage with the basic requirements for Software Gardening. In this article, I present the last of the requirements, light and sunshine. Most plants need lots of light and sunshine. I have a small hydroponic garden in my kitchen. It’s easy to grow plants in this garden. I’m currently growing herbs. They were “planted” about three weeks ago. 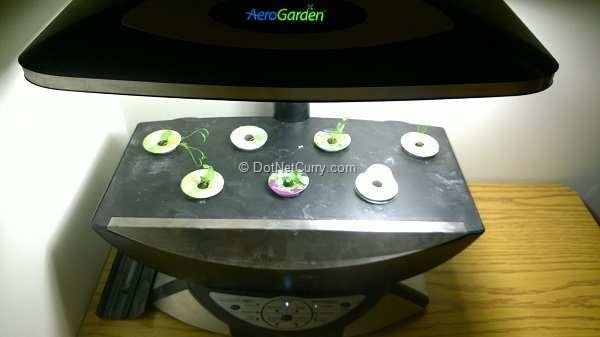 The seeds come pre-planted in plastic cups that you put into the device. You add water and nutrients to start, then each time the device indicates it time to add more. The garden also has a very bright light that runs on a time. It’s off for about eight hours at night, otherwise it’s on all the time. The light is essential for the plants to grow. Light is also essential to your software garden. Yes, I’m going to use an old cliché: you need to keep the light going through continuous learning. Many developers put responsibility of learning on their employer, saying they will only attend conferences or training classes when the employer pays for and requires it. This mentality will keep your skills stagnant and that’s not a good thing in an industry that changes as fast as software. The bottom line is, you must take responsibility to keep your skills and knowledge up to date. It is not the responsibility of your employer. You and you alone must take responsibility for your skills and career. Let’s look at the various ways you can learn. The fact that you’re reading this column means you read magazines. An advantage of a magazine is they are generally edited and the content can cover the latest technologies as deadlines are usually close to the publication date. CODE – Published by EPS in Houston, Texas, CODE is published six times a year and has the second largest subscriber base, behind MSDN. Visual Studio Magazine – Published monthly, it usually has less content that the other two, but still a good resource. Books often have a long lead-time, meaning from the time the author starts writing until the book is in print, several months or even a couple of years may have passed. This seems to make books outdated almost as soon as they’re available. However, books are good for getting a complete view on a topic as they often start at the basics and gradually work into more complex topics. Don’t think that you need to read an entire book. New Microsoft CEO Satya Nadella said he buys more books than he finishes. I’m the same way. I have dozens of books that I’ve bought and started, but never finished. Manning – Known for the old-time drawings on their covers, Manning offers a unique feature called the Manning Early Access Program, or MEAP. As an author finishes writing a chapter of a new book, it’s released on the web and available for download. At this point, the chapter hasn’t been edited, but an online forum is available for readers to post comments on the new chapters. O’Reilly – You’ll recognize O’Reilly books by the animal drawings on the cover. 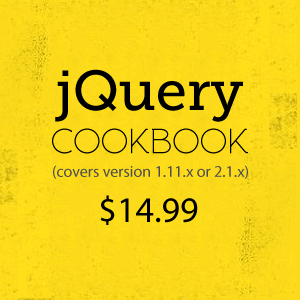 O’Reilly covers .Net , Java, and Open Source topics. APress – Yellow and black covers tell you that you have a book from APress. Pragmatic – PragProg has a handful of .Net books, but mostly produces books on Open Source topics. LeanPub – Unique among the above publishers, LeanPub allows authors to self-publish. While this gives more of the purchase price to the author, the writing is often a lower quality than the big publishers. MSDN Blogs – An umbrella place for official Microsoft blogs. You’ll find blogs for teams or individual employees. Los Techies – Home to many very knowledgeable technologists on a wide variety of topics. MVPs.org – Many current and past MVPs host blogs here. Code Camps are one or two day training events and almost always free and always on the weekend. They consist of several 60 or 75 minute sessions and cover a variety of topics. The largest code camp in the world is in Silicon Valley and has over 2000 attendees. Most code camps I’ve attended have 300-600 attendees. The other thing that is unique about a code camp is the sessions are proposed and given by members of the community. Smaller regional conferences take place all over the world. They typically run two or three days and charge a fee for attending. Attendees come from the geographical area of the city that hosts the conference. Regional conferences include DevLink, CodeMash, ThatConference, DevWeek, and more. National and international conferences are a bit bigger than regional conferences. Attendees and speakers come from all over the world. Attendance can be 500 to 2000 or more. They usually last two to four days and charge fees for attending. Norwegian Developers Conference (NDC), DevConnections, VSLive, and others fall into this category. There are a couple of major conferences that come to mind. Microsoft Build and TechEd. Attendance can be up to 10,000 people. Build is generally held in the US. TechEd is usually held in the US, Europe, and Asia. These conferences have a high cost, but speakers are often Microsoft employees. The number of training classes seems to be decreasing, but this is still a viable option. There are a number of ways these classes are offered. You may hire a trainer to come to your office and give training to your staff. Sometimes training is held at the training company’s office. A third option is where the training company rents a room at a hotel and opens up the class to anyone. Fees are usually quite high, but there is an advantage to having an instructor that can answer questions about specific issue you may have in your work. I’ve taken classes from several companies. One of my favorites is DevelopMentor. Pluralsight.com – Perhaps the biggest of all the sites. It started out with just .Net training, but then went on a buying spree, purchasing several competitors. Their course now covers just about every technology you can think of including .Net, Java, Open Source, Database, Sales Force, Web, Networking, Creative skills and lots, lots more. Over 3000 courses are available. Learninglineapp.com – This is the online version of DevelopMentor. They offer mostly .Net courses, but some others are available. Courses on this site take a different approach from Pluralsight as they come close to duplicating in-person training classes. MicrosoftVirtualAcademy.com – This is the official Microsoft training site, which means courses only cover Microsoft topics. One good thing is they’re free. KhanAcademy.org – Free courses on a wide variety of topics. The tech-related topics lean more to introductory than advanced, but some advanced topics are available. Coursera.org – These are university courses that are free. And the colleges are prestigious, including Stanford, Columbia, Duke, Johns Hopkins, Hebrew University of Jerusalem, Eindhoven University of Technology, and many more. These courses are taught by college professors and include study groups and homework. There is no college credit given, but courses cover a very wide variety of topics. It’s impossible for me to provide a complete list in all these categories. I’m sure you’ll find more magazines, online training, book publishers, etc. Now you should create a learning plan for you. Don’t limit yourself to a single source. Get your information from multiple providers. Pick topics of interest and dive in. You’ll find that the light you shine on your software garden will help it grow and stay lush, green, and vibrant. I am all charged up after reading this article and if I get unplugged midway I would knw what to do. How's your hydroponic garden by the way? The Hydroponic garden is going well. It's great to have fresh herbs for cooking. The regular garden has mixed results. Some vegetables are thriving, particularly the peas and radishes. The cauliflower never made it though. But even that has applications here. If we are continually learning, we find things that take root for how we work and what we're working on. Others do not. "If we are continually learning, we find things that take root for how we work and what we're working on. Others do not". Now that's a nice quote!